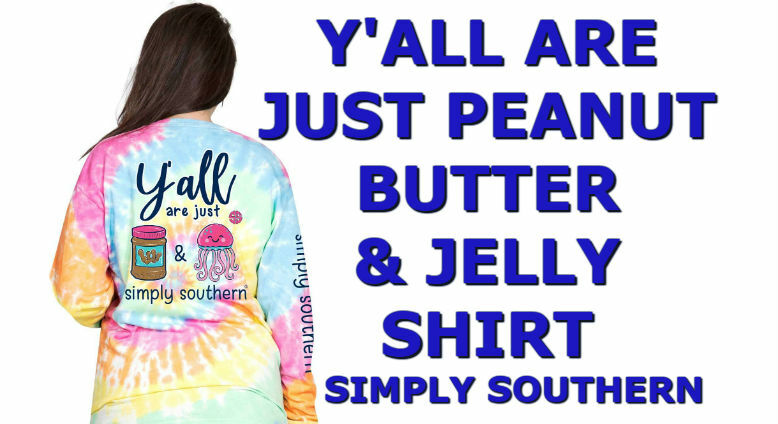 If you love peanut butter & jelly sandwiches, then you are going to just love this new Simply Southern peanut butter & jelly t-shirt. The t-shirt is printed on a tie dye long sleeve shirt. The saying on the back says, Y’all are just peanut butter & jelly. With an image of a jar of peanut butter and an image of a jelly fish. 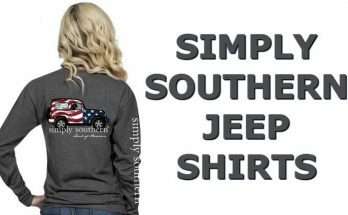 Click Here to view this Simply Southern shirt and how to purchase. Peanut Butter & Jelly sandwiches are a staple among southerns and pretty much everyone in the United States. Growing up that was the go to sandwich for any occasion. School lunches, Saturday afternoon lunch, picnic, and pretty much anything. It is easy to make and very tasty and filling. 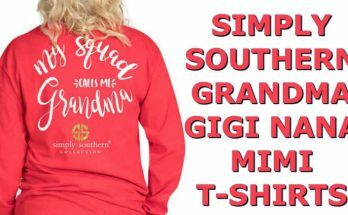 So why not combined this great southern tradition with a cute preppy t-shirt. Instead of saying the words peanut butter, the t-shirt has an image of a jar of peanut butter. Also, instead of saying jelly, the shirt displays an image of a jelly fish. The shirt adds that southern word Y’all to it and it completes the southern shirt. 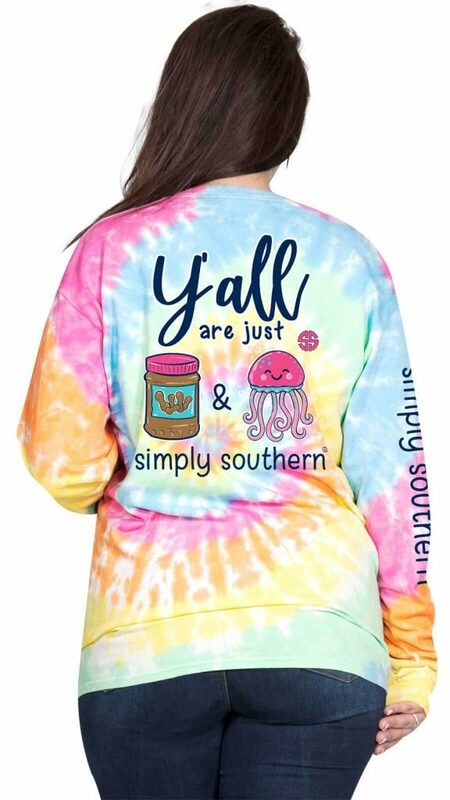 It is printed on a tie dye long sleeve shirt, which gives it the southern colorful style. This awesome shirt will stand out among all of your friends. 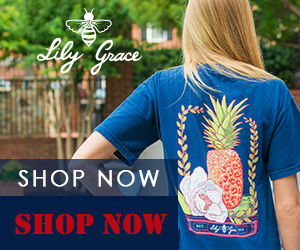 Click Here to view a full line of Simply Southern shirts & accessories. This t-shirt would make a great present for your family and friends. They will just love the tie dye shirt and the cute southern saying on it. You will make all of your friends love you for it. You can also get this cute long sleeve t-shirt in a youth size. The sizes available are youth small, youth medium, and youth large. Click Here for more info on how to get this t-shirt in youth. You will love the feel of this 100% cotton long sleeve t-shirt. It will be great for those fall days and nights when you are out with your friends. Not only will you feel comfortable, but you will also be the talk of every one. All your friends will want one of these t-shirts too. This t-shirt comes adult sizes from small through 2X. It is only available in long sleeve. 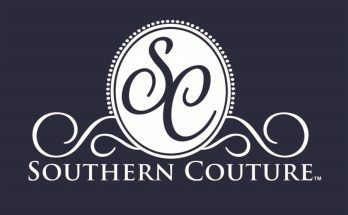 The shirt is made by the Simply Southern company. 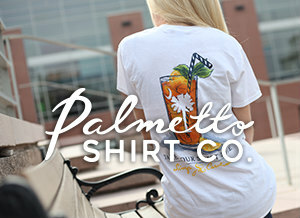 Simply Southern is one of the top southern t-shirts companies today. 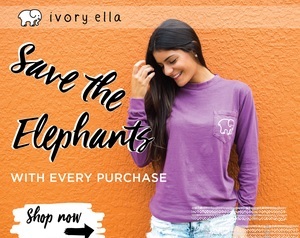 They make cute preppy t-shirts with awesome designs. They also make other clothing and an awesome collection of accessories to go along with their shirts. 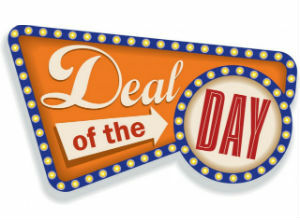 Click Here to see their full line of shirts and accessories, or just click the Shop Now button below.